letting you find available times of contacts to setup a meeting. 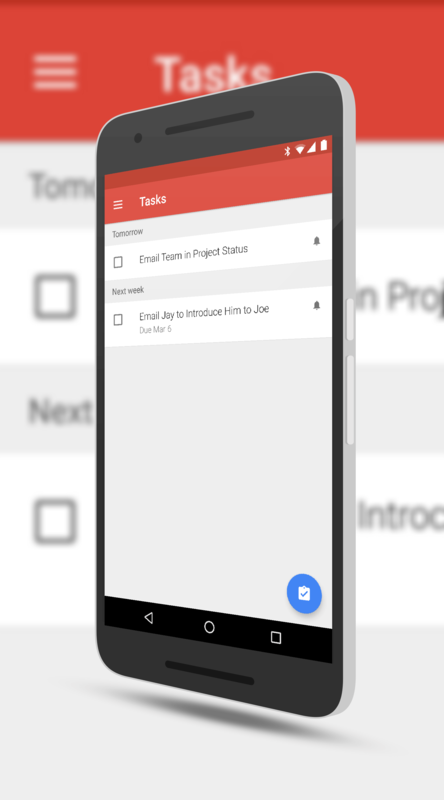 All of this, as Google states in the release announcing this new feature, adds up to increased productivity on your mobile device. Everyone should see this update to Gmail over the course of the next couple of days so keep an eye out for it, particularly those of you who have Exchange accounts. 1. Done tasks display on my phone, and I can see no way to remove them. I have hundreds of these, and I don’t want to see them normally. I guess i could go through and remove them, but I may want to keep them as a record. Any clues on how to have them not display. The video from the Google blog entry of Mar. 2 2017 shows Done tasks that then magically disappear, but there’s no indication of how one does this. 2. The display of tasks are not complete. Of the 7 current tasks displayed in Outlook, only 4 appear on my phone. I can find no consistent pattern of which display and which do not, except that all tasks manually entered appear while only some of the tasks that are connected to emails appear. And of course, there’s no manual for this. We’re forced to search out in ad-filled web sites to find our answers….